Green Park Has A New Neighbourhood Bar With Outdoor Seating! Green Park dwellers, you’ve got a new address to drink at. Publiq just opened up in Yusuf Sarai, and could very well turn out to be your next go-to watering hole. Situated right on the main road on Aurobindo Marg, Publiq has a few things clearly in its favour—being highly accessible with (paid) parking right out front definitely deserves a mention. 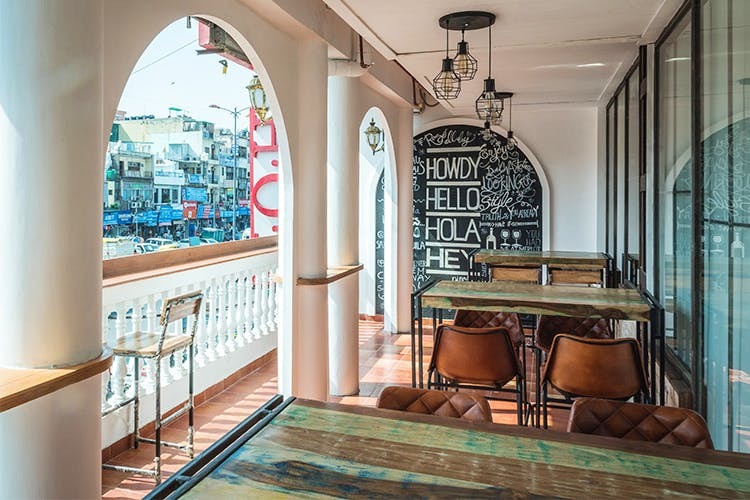 The bar also has an outdoor seating area for those breezy evenings. While it’s too early to make a thorough judgement—it’s only a week and a half old—the bar definitely had great music and delicious finger food. They also told us they’d be hosting regular music gigs, so if that’s something you look out for, keep an eye on this new kid on the block. And well, since it is a bar, you can spot potent cocktails and a variety of straight drinks on the menu. We can’t wait to go back and check it out; check this space for updates! However, we wouldn’t suggest making a trek all the way; do pop in for a brew or two if you stay in or around the area.